Haute-Combe is a six hectares agricole estate bought by the collectivity to produce more than 80% of the needs of fresh vegetables and organic catering. The old and very nice agricultural farm of Haute-Combe, located a few steps from the city center, became municipal in 2010. 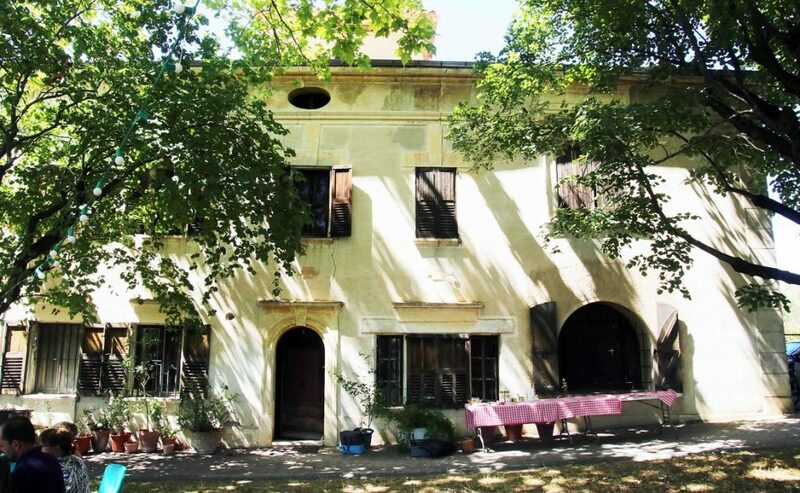 The town hall, wich develops policy of preservation of land, has bought the property by pre-emption,in order to escape a classic private housing development project. The farm, now CSFE's service, used to be the living place of the farmer Sébastien Jourde. He ensures the smooth running of the crops on a useful surface area of six hectares, converted entirely to organic farming and controlled by Ecocert from the first year. A small part of the land is occupied by greenhouses (cold tunnels). Cultivation began on an experimental basis in 2010. During the implementation and a few trial, the management now produces each year nearly 25 tons of plants, or no less than 85% of the fresh, raw and organic vegetable needs of the kitchens of the three school groups. 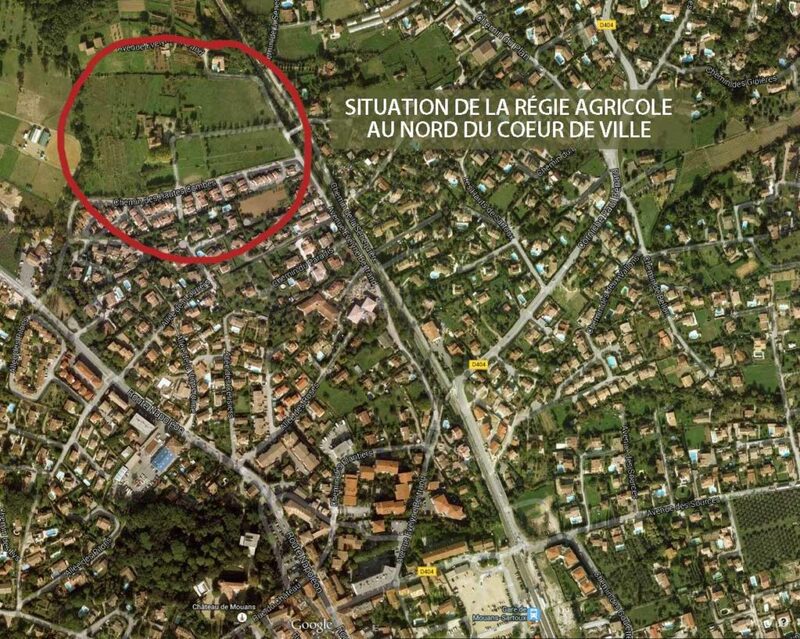 This initiative to create a community farm, very original, was initially less by militant choice than by pragmatismFacing the lack of suppliers in the first calls for tenders on its organic needs, the city regretfully noted the gradual decline of farms, especially in this region of the French Riviera where only a few farms perfume and aromatic remains, around Mouans-Sartoux, in Grasse area. 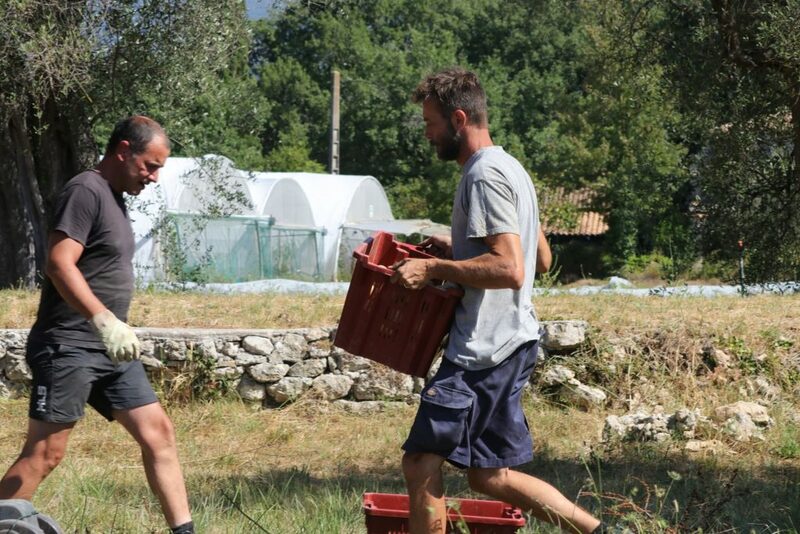 There are many small organic farms, but largely under-sized or not very interested in the catering market for which they are not necessarily prepared. To achieve the objective of food governance, the city therefore created, the first in France, this municipal board. The concept: production, picking, processing, and delivery to kitchens. One of the missions of the CSFE is to propose land and to offer support for the establishment of new farmers in particular to increase sources of supply and to create new local markets. 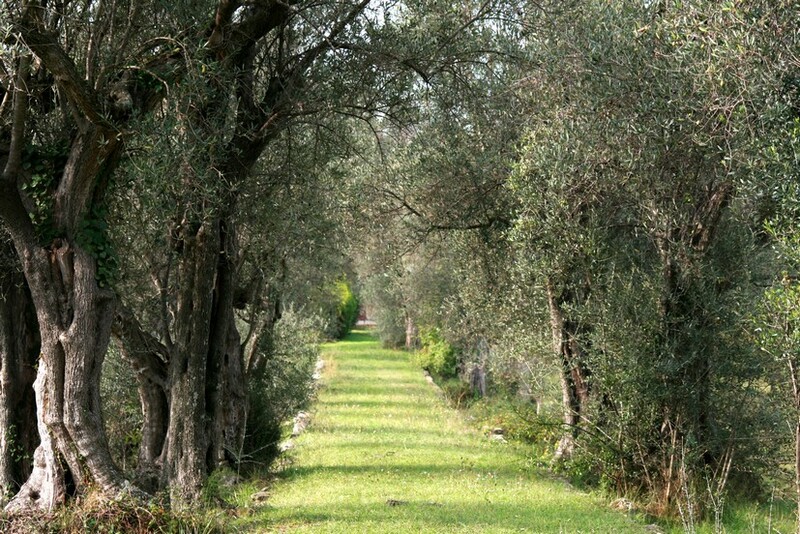 The magnificent alley of olive trees, most of which survived the fatal cold wave of the winter of 1956. In 2016, the first pressed olive oil allowed to put color in the vinaigrettes!